While talking to Level 5 about the studio's next big role-playing game for the U.S., White Knight Chronicles, I inquired about the status of an old favorite, the Dark Cloud RPG series. "At this moment we don't have a specific plan for a sequel in the Dark Cloud series," Level 5's Yoshiaki Kusuda told me at the Tokyo Game Show last week. But there's always a glimmer of hope with these things, silver linings to, uh, dark clouds. Here you go: "There are many staff members, including myself at Level 5, who have worked on the Dark Cloud series," he told me through a translator. "There are some who decided to join Level 5 because they love the Dark Cloud series. So, if requests from users should increase in the future, we would seriously consider making it." 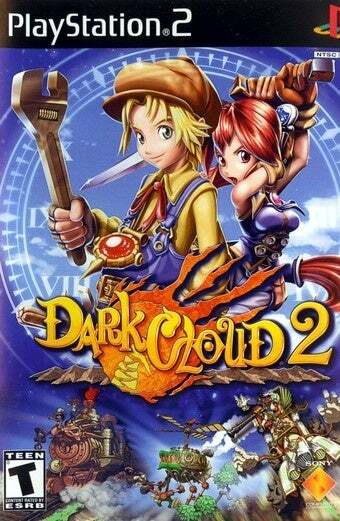 So if you liked the Sony-platform Dark Cloud RPG series and want more, then keep asking.